It was an honour to be given the opportunity to review the new member of the Chloe's Fragrance family, See By Chloe Fragrance. I would like to give a shout out to the Lilac Box and Chloe themselves for this opportunity. Not only do I get to review and test this product out, i'm also able to keep it! You have no idea how happy I was when I on my way to collect this product. Before I proceed, please take a look at these four cheeky videos. The uniqueness of this perfume is that the scent is all about being fun, young, sophisticated, playful, and feminine all in one. This fragrance is addictive enough to wake up my senses. 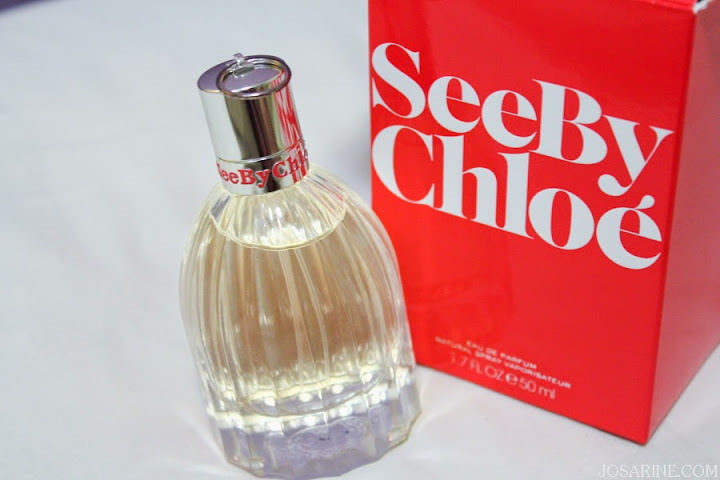 This new see by chloe fragrance was created by perfumer michel almairac (robertet) and it reveals an addictive floral scent that is sweet like a smile. In an accord of apple blossom, the grace of jasmine caresses this natural seductress, an olfactory game of hide and seek uncovers sensual notes of sandalwood and vanilla. The packaging is glamarous but at the same time looks playful and fun. The cover of the perfume is made from silver (yes not plastic) together with a silver ring, and pink letters are outlined. The glass pleats and the three adorable feet at the bottom creates mirror effects and transparency which creates a sparkly illusion from the lights in the surroundings. Here are a few pictures of me just having fun and being daring all thanks to the confidence I feel using See By Chloe. :) Oh by the way I played with their movie maker and created a video, check it out! It is very simple, just upload 3 photos and choose a caption, or write your own caption, let it load and wa la it's done! Dare to be who I am... being silly and just having fun! Dare to be foolish! A proper pose for pictures are over rated! 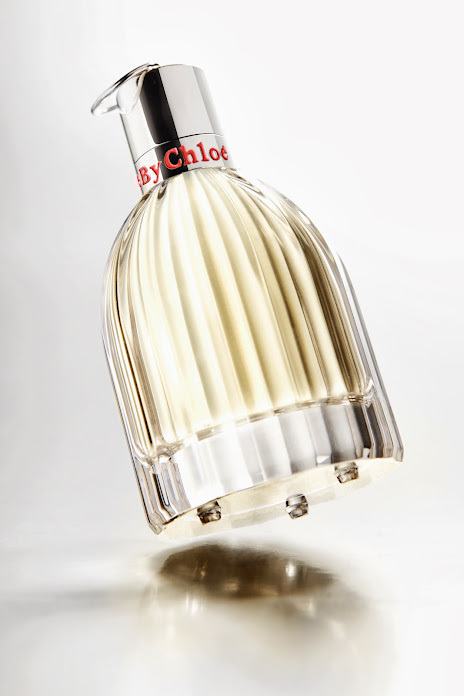 See By Chloe's scent ignite my senses to be fun, confident, playful, but at the same time feminine. I'm not really a huge fan of floral perfumes, I've no idea why but they just don't attract me. However when i tried See By Chloe I was kinda surprised that I actually like the scent! The first time I used it i sprayed once on both sides of my neck. For me the scent seemed like really mild, but when I asked my sister, she said she could smell it. My sister likes it too by the way ;). As mentioned above, this fragrance contains apple blossom and jasmine, and what makes this floral perfume attractive to me is the sandalwood and vanilla bottom notes. 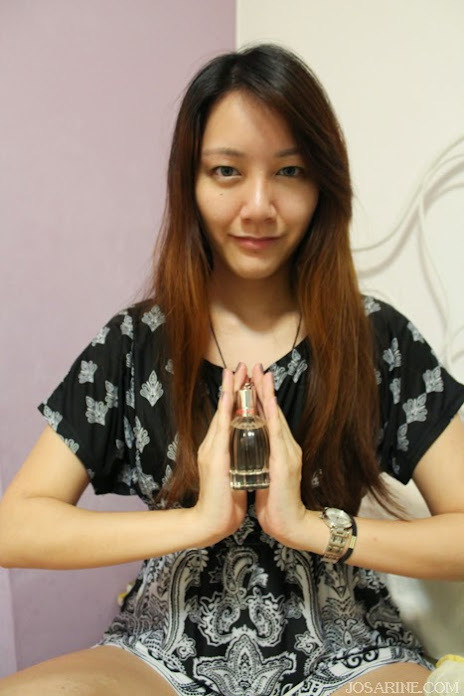 Whenever I use See by Chloe, I feel confident, fun, young, energetic, happy, sophisticated and fresh! I am really glad that I got the opportunity to review this product all thanks to the Lilac Box or else i'd may not have known about this perfume. If you love floral scent, you should give it a test! Thank you! Your photos are really cute too!